If you’re embroiled in a civil lawsuit or soon will be, then the sheer amount of legal jargon can be overwhelming. Thankfully, the law isn’t quite as complicated as it first appears. Here is an overview of what civil lawsuits are, as well as the most common types found in Pennsylvania and why you should consult a civil lawsuit attorney. Fundamentally, a civil lawsuit is the primary way for someone to seek damages. If you have been wronged in some way and you have exhausted all other means, then a civil lawsuit allows you to bring your specific situation before the legal system, where lawyers and the courts will sort out who is wrong and who is right. This contrasts strongly with criminal cases, where the government is organizing a case against someone. Criminal cases aim for prison time and sometimes fines, but a successful civil suit will almost always result in financial compensation or the transfer of property to its rightful owner. What are the most common types of civil lawsuits in Pennsylvania? Contract disputes are one of the most common types of lawsuit anywhere and it’s easy to see why. Anytime there is a disagreement over the terms of a contract, its legality, whether it was successfully carried out, or anything else, a legal contract dispute is going to be involved. Torts are also very common, covering a huge variety of personal injury categories such as medical malpractice and slip and fall accidents. If you were injured and someone is to blame, then tort law is where you should be looking. Attorneys in Philadelphia are very familiar with class action lawsuits as well. They occur whenever a group of people were wronged by the same party. This often revolves around dangerous or defective products or employers failing to look after their employees. Although you can go it alone, consulting a lawyer will likely save you a lot more money than you might expect. A good civil lawsuit attorney can mean the difference between the success and failure of your case or defense. 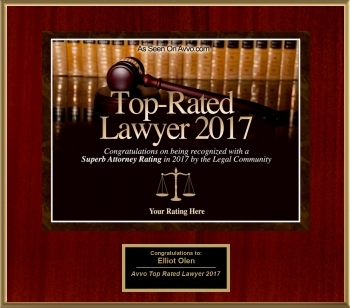 Contact the Bucks County PA civil lawsuit attorneys at the Olen Law Office for legal representation. Let our years of experience help you with your case. Call us today!